The Hotel Wendell, at the corner of South and West Streets in Pittsfield, around 1906. Image courtesy of the Library of Congress, Detroit Publishing Company Collection. The first photo was taken less than a decade after the completion of the Hotel Wendell. 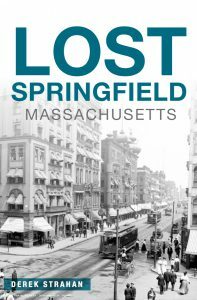 Located right in the heart of downtown Pittsfield, it opened in 1898 to much fanfare, with dignitaries including Lieutenant Governor Winthrop M. Crane, the paper magnate from nearby Dalton who later served as governor and US senator. 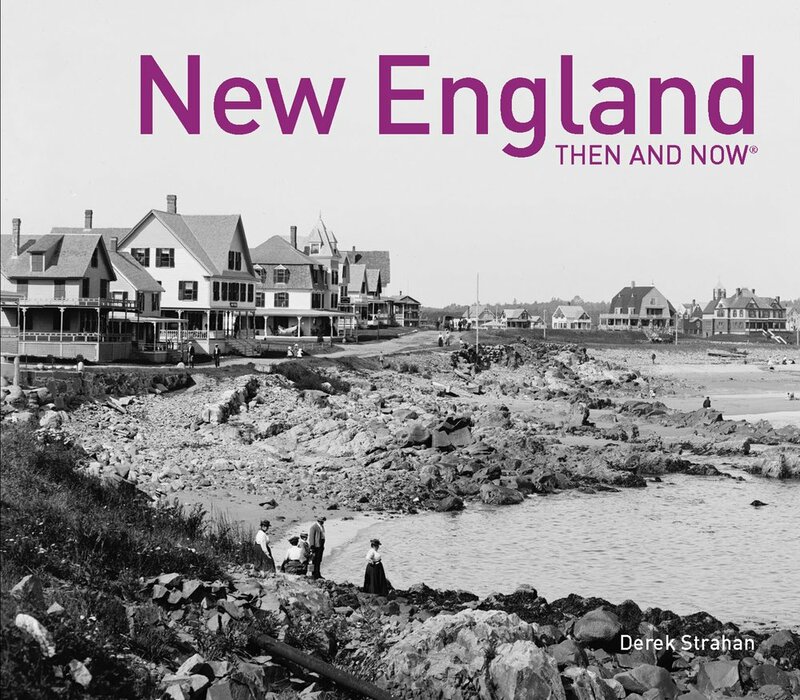 It was designed by local architect H. Neill Wilson, in a Renaissance Revival style that was fairly common for hotels at the turn of the century, and included 110 guest rooms and a 250-seat dining room. At the time, Pittsfield was the urban center of the Berkshires, the Gilded Age playground of New York’s rich and famous, and a hotel here was a wise investment. There is an interesting contrast in the first photo, between the large, elegant, modern hotel and the motley assortment of shabby, early 19th century brick buildings to the left. They appear to have once been houses that were later stitched together into a semi-coherent mass of a commercial block. Either way, they did not last long in the growing city. 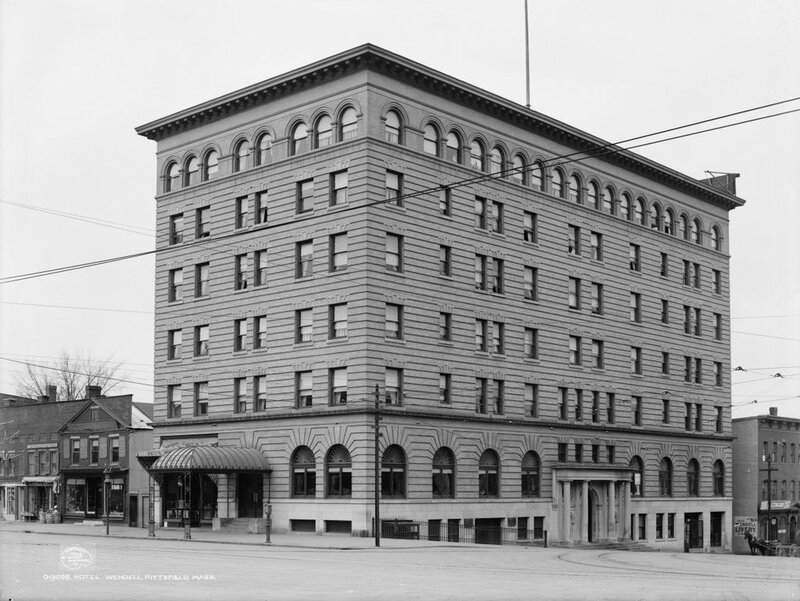 By the 1920s, the Hotel Wendell was expanding to the left, replacing these old buildings with two large additions. Completed in 1930, these additions nearly tripled the size of the hotel and made it the largest in the city. However, the Hotel Wendell was peaking just as inner-city hotels were about to enter a precipitous decline. The Great Depression had just started and World War II would soon follow, and after the war automobiles and interstate highways drew business away from city centers. Pittsfield, once an important stop on the way from Boston to Albany and points west, was completely bypassed by the Massachusetts Turnpike, which opened in 1956, more than 10 miles to the south. The Hotel Wendell closed in 1965, and was demolished soon after. Its replacement was a 14-story Hilton hotel, which opened in 1971. 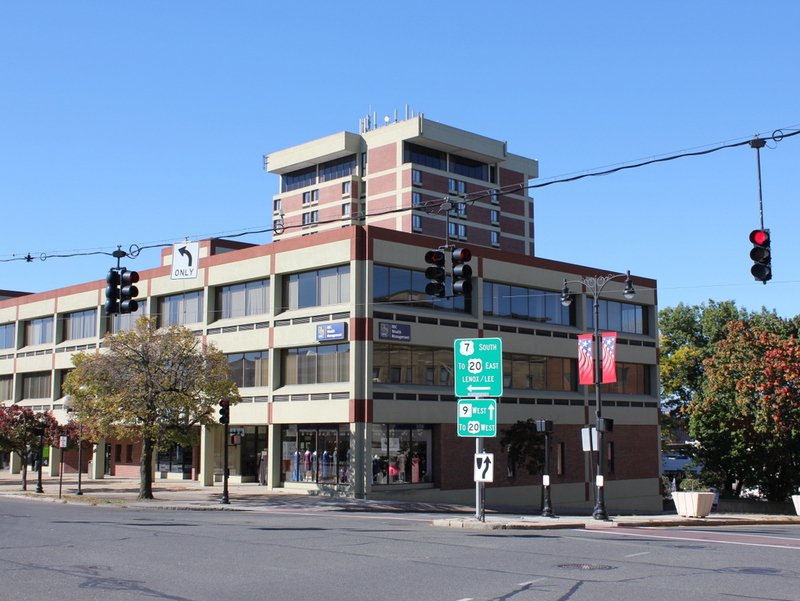 Now the Crowne Plaza Pittsfield, it is still the tallest building in the city nearly 50 years later. As seen in the 2016 photo, the new hotel is set further back from the road. The actual site of the old Hotel Wendell is now a three-story commercial building, which is part of the hotel complex and includes storefronts on the first floor along the west side of South Street.